I recently worked with Romina Rossi on the new logo of her company, Yoga En Ti. I am very happy with the result. The logo represent an elephant (an important figure within the yoga community) drawn using the Om symbol and with waves inside, because the classes take place in the seaside, in Tenerife. For the ones of you interested in yoga, you can keep updated and make contact with Romina by liking her FaceBook page following this link. Thank you Romina, I had a lot of fun working together! 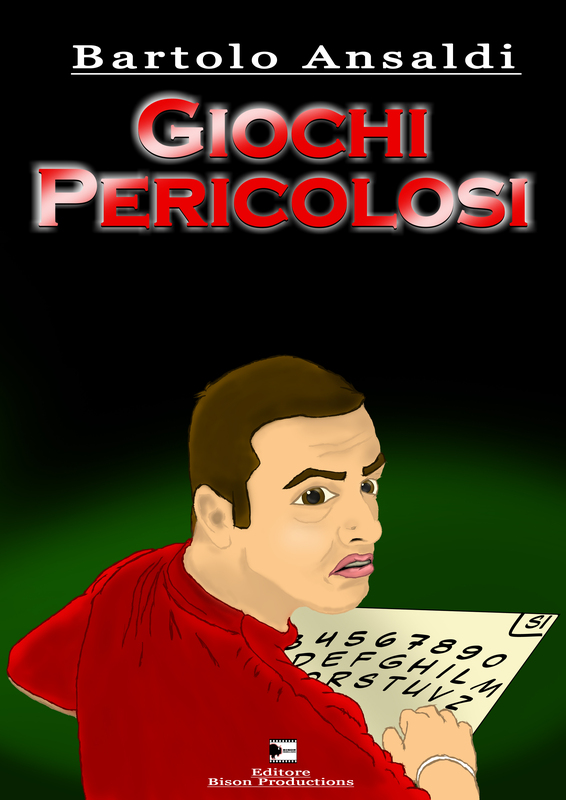 This is the cover I made for my new short novel, Giochi Pericolosi [Dangerous Games], available now on Amazon as an e-book and on paper. It’s based on a true experience I had when I was at high school and as you can see from the cover, it’s about seances. For the moment it’s just in Italian, but if you are interested in reading it, please let me know and I can have it translated into English! To check it on Amazon, please click this link.